Computer Sciences: Gov Services Spinoff, Commercial Business For Sale? Computer Sciences Corporation (CSC) is primarily an IT services firm that is spinning off its U.S. government services business (targeted by the end of November) and immediately merging the spinoff with SRA International which is another contractor in an industry that's seen a lot of spinoffs and consolidation activity. The spinoff will be recapitalized and paying out a special dividend to shareholders (versus the typical scenario where the spinoff dividend goes to the parent) of $10.50 per share. There's been a lot of takeover speculation regarding both the parent and spinoff, that along with the dividend to shareholders leads me to believe the parent might be sold thus completing a breakup of the company. CSC was founded in 1959 and today it is a $9B market cap global IT services company, they partner with various hardware/software providers (including some in-house) to provide clients with customized outsourcing and IT solutions. This is a highly competitive business, CSC is in the midst of a turnaround similar to competitors IBM, HP, Xerox, among others. Revenues continue to fall at a double digit pace and have each year since 2012 as the company changes their mix and moves towards the hot buzzwords - big data, cloud computing and cyber security. The company does have rocky recent past highlighted by the nearly $200MM fine the SEC imposed on them in June (that really muddies up backward looking earnings) for accounting fraud charges as the former management inflated earnings starting in 2011 and generally hid a troubled contract with the U.K's National Health Service. In early 2012, Michael Lawrie joined the board and became CEO replacing disgraced management, he has both an IT services background (Misys PLC, IBM) and was also briefly a managing director at the hedge fund ValueAct. Global Business Services is the consulting and services piece of the business, it has respectable 10% operating margins; Global Infrastructure Services provides data center management, cloud, infrastructure as a service type offerings, its more product/hardware intensive and has the lowest operating margins of the three at 6%; North American Public Sector is the U.S. government contractor business, almost entirely IT services offerings and has the highest operating margin at 14%. There's been speculation that the company has been looking to sell itself; In September 2014, Bloomberg reported that CSC had contacted private-equity firms to gauge interest in an LBO and then this past February DealReporter said CSC is in talks to sell itself in a two-part deal to a foreign strategic buyer and a private equity firm. It seems like the two-part deal might be in play as in May, the company announced plans to spinoff the North American Public Sector unit as Computer Sciences Government Services (many government contracts have restrictions against foreign contractors), leaving the two commercial/international business behind to potentially be taken out. I tend to like government services businesses, they have low capital requirements, fairly consistent and predictable revenues as once you win a contract it's hard to be unseated as the incumbent. As a service provider, most of their expenses are personnel and many government contractor personnel are more tied to the individual contract versus the actual employer. If you lose a contract rebid, the staff either gets reassigned, moved to the new contractor, or are laid off. So given the predictable revenue steam and low capital requirements, the business can sustain a high debt load and use the free cash flow to delever, ultimately accruing more value to shareholders. Along with the spinoff, CSC is immediately merging their government services business with competitor SRA International which is owned by private equity and management. I like these multi-step spinoff and merger transactions (think ATK/ORB and SSP/JRN) as it shows a little more foresight and thoughtfulness to the corporate action, rather than just doing a "garbage barge" spinoff, management is putting together a company that's setup to succeed. 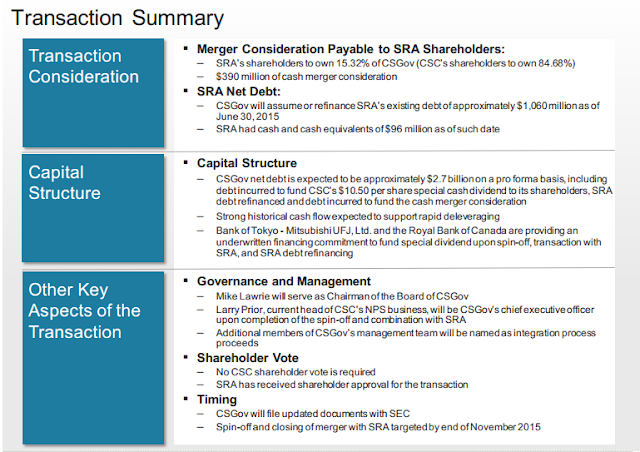 Notably the spinoff is assuming SRA's debt adding even more leverage to the company, although still at reasonable 3.75-4x EBITDA levels. The company will be roughly split 50-50 between defense/intelligence contracts and civil agencies, SRA's book of business is a little more diversified than legacy CSC further reducing concentration risk to losing any one large contract. 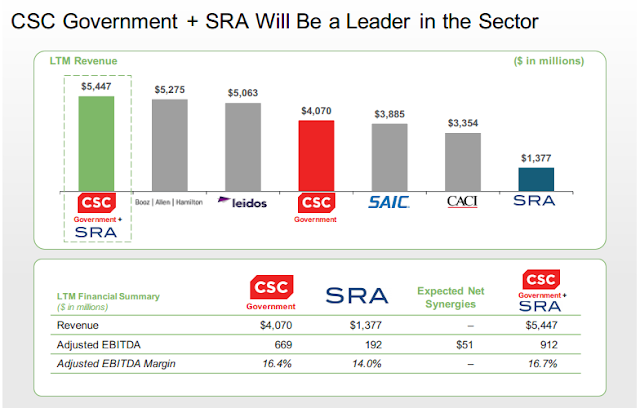 When announcing the SRA merger, management provided some expense synergy and EBITDA numbers for the combined entity along with some easy public comparables of very similar businesses. CSC Government Services will have $2.7B in net debt, plus they're taking the $400MM pension liability with them in the spinoff, for a total adjusted net debt of $3.1B. For EBITDA, I'm taking out the expected synergies for now and using proxy/estimates swags for earnings and FCF. Their competitors are all of relative similar size, similar debt levels, and trade within a tight range of 9.5-11x EBITDA. Sorry if that's a bit small, but I wanted to try and show the industry's valuation using a series of multiples and give a fairly conservative valuation to CSC Government Services, using a 9.5x EBITDA value I'm coming up with a market cap for the spinoff at $5.08B. Current CSC shareholders are going to own 84.68% of the spinoff, so net to CSC shareholders the spinoff should be worth approximately $30.55 per share, add in the $10.50 special dividend for a total of $41.05 per share in value. I feel pretty comfortable valuing the government services business, much less so with the remaining commercial business, but if you net out the government business using the above comparables, the remaining parent looks very cheap despite the industry headwinds. The purple row in the table below is showing just that, netting out the $41.05 and holding the current price constant at $64.62 (went up more today) the stub is trading at: 9.1 P/E, 3x EBITDA, and a 14% FCF yield, all very cheap metrics that would be enticing to any potential financial or strategic buyer. In yellow, I put the remaining CSC at 6x EBITDA and come up with a $7B market cap, or $50.09 per share, in purple (netting GS out of the current price) it's $23.57 per share, so a lot of the value creation could come from this gap closing. In the meantime, CSC continues to make bolt-on acquisitions (UXC Limited, Furition Partners, Fixnetix) in the commercial business as they continue to move towards higher margin offerings. The company will be hosting an investor day on November 5th, hopefully they provide a little more clarity on what the plans are for the remaining business, but at today's prices I think you're paying a cheap price for a fair business that's likely an acquisition target. Sum of the parts gets me to $91.14 pre-spin for a ~40% upside, although I'll probably sell for something close to $80 per share. I was starting to get nervous there that American Capital (ACAS) would miss their own self imposed September deadline to file the Form 10 for their proposed BDC spinoff American Capital Income (ACAP), but on 9/30 ACAS filed a draft proxy statement (along with the Form 10) with several proposals to put to a shareholder vote that will move the long anticipated spinoff forward. 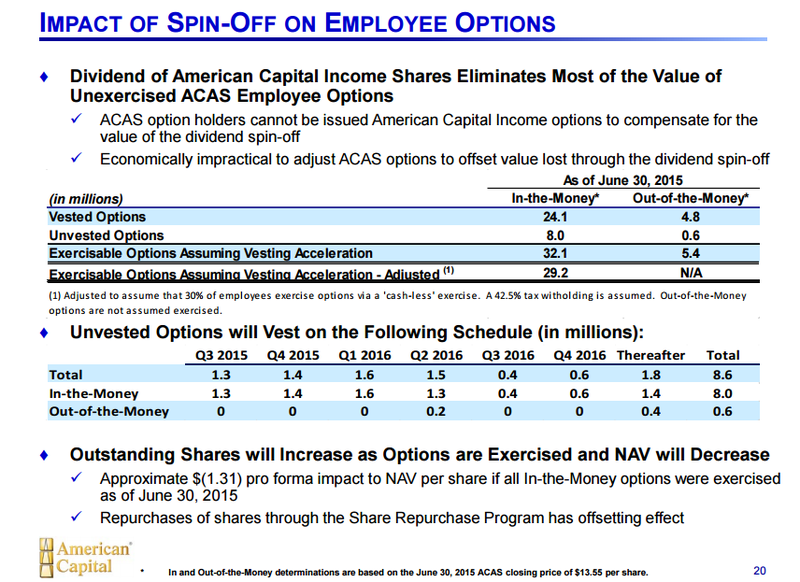 To recap my earlier post, American Capital will be spinning off a BDC that will pay dividends (hopefully attracting retail investors and raising the valuation), leaving ACAS with the management company that will have almost $23B in AUM inclusive of the spinoff (most of which is permanent capital). The company pegs its current NAV at $20.35 per share, which includes the value of the management company, the stock currently trades for $12.50, a ~40% discount to NAV. There's a bifurcation between the valuation of internally managed BDCs and externally managed ones, with internally managed BDCs being valued at slightly over NAV, and externally ones below NAV, in some cases substantially under. BDCs require shareholder approval to issue shares below NAV, so there's a strong incentive over time for externally managed BDCs to increase their share price through fee reductions, share repurchases or simply better performance. 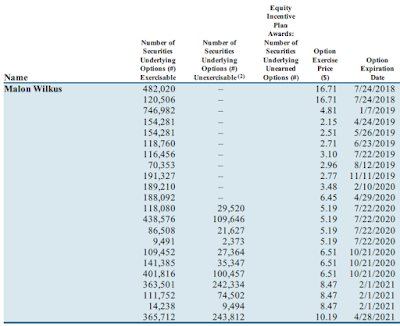 Below is a table of prominent BDCs (and less prominent ones like ACSF) to give an idea of how they currently trade. The BDC spinoff, American Capital Income (ACAP), will be one of the largest BDCs and has a close peer in Ares Capital Corp (ARCC). Both implement a similar strategy, are roughly the same size, externally managed, and the external managers are publicly traded. But besides a more stable history, ACAP has a few hurdles to overcome before it can trade inline with ARCC's 92% of NAV. ACAS, the asset manager, is going to charge ACAP a 1.75% base management fee on assets (not equity and including cash) plus incentive fees which will charge ACAP an additional 20% of gains as long as they hit the 8% hurdle rate. The base management fee is 25 bps more than Ares Management charges Ares Capital, but the incentive fee has a slightly higher hurdle rate (7% versus 8%), in most circumstances ACAP will be paying 0.35-0.50% more in fees for comparable performance as ARCC (remember, it's an extra 0.25% on assets not equity). While it's good for ACAS, hopefully they reconsider and move the base management fee down to 1.5%, management will be disproportionately invested in ACAS going forward but much of the value creation from the spinoff is coming from ACAP moving closer to NAV. The ACAP portfolio is going to initially be a little funky with about $1B in equity/control investments that were previously sourced by American Capital's "One Stop Buyout" program, which they've shuttered. Since they won't be able to raise equity for a while the equity investments can be a source of funds, the plan is likely to exit these over time and reinvest in middle market and syndicated bank loans creating a more diversified, simpler to value portfolio. ACAP's proforma leverage is around 140%, well below peers, which along with the equity slug and relatively overweight senior bank loans (where they're parking the leverage) means it's going to under earn initially until they get their portfolio ramped up and more inline with peers. Even given these challenges, ACAP should at least trade for 80% of NAV, or $3.3B, inline with its sister BDC in ACSF (which is a dedicated bank loan BDC) within a quarter or two of reinstating the dividend and overtime close the gap with it's closest peer ARCC. ACAS will be primarily an asset manager with some assets set aside to seed new strategies/funds before they eventually get sold into those vehicles. 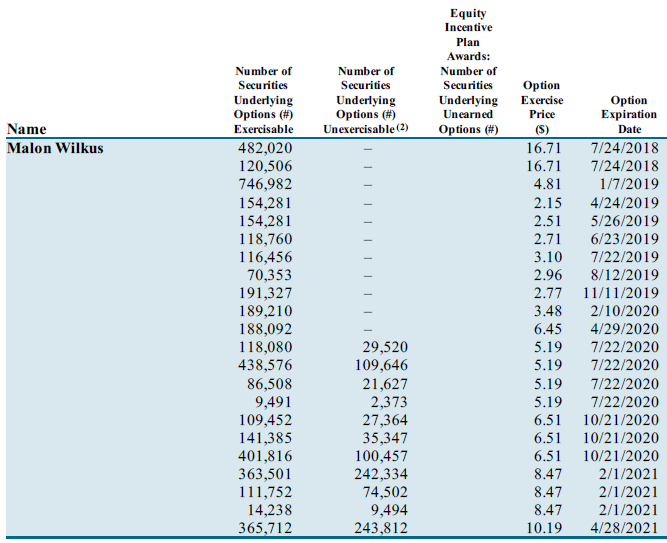 Including the new BDC, ACAS will manage 4 publicly traded companies, two BDCs in ACAP and ACSF, and two mortgage REITs in AGNC and MTGE, along with 14 private funds (private equity and CLOs primarily) totaling $22.75B in fee earning AUM (in some of their strategies they only get paid on the equity, not the assets). 82% of American Capital's assets will be in permanent capital vehicles which should garner a premium over time. I have a hard time determining if they're good investors, but it's fairly clear they're good asset gathers. Interest rates are likely to stay low for some time, forcing investors to chase yield, and most of American Capital's strategies cater to those yield chasers. ACAS puts a value on the asset manager each quarter, the latest was $1.1B, I tried unpacking that in my earlier post in February so I won't rehash that now. They're also going to include roughly $1B in investments on the balance sheet of the manager. My guess is the asset manager is going to be the preferred security of the two and should be valued at close to $2.1B. Using the fully diluted share count of 283 million shares = $11.53 (ACAP) + $7.41 (ACAS) = $18.95 per share, or 50% upside from current ~$12.50 prices. "... we are prohibited under the 1940 Act from issuing options in ACAP stock to American Capital employees." "... because option holders are not able to participate in the spin-off and option holders have thus had to exercise vested options earlier than necessary and at lower than optimal prices, the options previously granted under our existing plans have lost significant retention value." This dynamic has created some forced sellers in the market, presumably ACAS employees don't want to exercise their options ahead of the value unlocking spinoff, but they have to, potentially putting unwarranted downward pressure on shares recently. On August 5, the company announced they would buyback $300-600MM worth of shares, in part to counterbalance the options being exercised and as of the end of the third quarter they bought back $134.6MM at an average price of $13.82 per share. Tucked into the proxy, ACAS is proposing an interesting solution that would help both employees looking to exercise their in-the-money options and current shareholders who want to reduce the dilutive effects of the options. By law BDCs can't issue shares below NAV without shareholder approval. Typically this is a great protection as it prevents managers from increasing the share count, and more importantly their fees, at the expense of current share holders. ACAS is requesting the ability to tender employee stock options and issue shares covering only the net after-tax gain amount on employee's options, versus the entire amount via exercising the option. Essentially this would drastically reduce the amount of shares that would be issued below NAV due to employee stock options. This maneuver may also additionally reduce the selling pressure by encouraging employees to hold onto to their newly issued shares. They won't need to sell for tax reasons (the company would pay out the amount due in taxes in cash), and you'd reasonably assume that if they haven't exercised their options and sold already, they believe the shares are undervalued and would continue to hold their exercised shares. Using current market prices and the actual ~32 million options outstanding number should actually produce a better result than the example above since options are worth less at the $12.50 stock price, meaning less cash for taxes and less shares issued below NAV. It seems like a win-win both for share holders and employees, and I hope it passes. Since the employee stock options will either be exercised or out of the money after the spinoff, another one of the proxy proposals is for the 2016 incentive plan. The plan calls for an additional 8% of shares to be set aside for employee options and another 0.5% for non-employee board members. This might strike some as just another round of management raiding the cookie jar but if the current management options are gone, then this new plan kind of presses the reset button, almost like a new spinoff issuing the new management "founder" incentive options. Not ideal, but not completely terrible either as they're not immediately dilutive, although issuing any shares/options below NAV is going to be dilutive, so it's a careful balance. I'm willing to give them a break on it. Management's record of share buybacks and now the tender offer tells me they're not quite as bad as their reputation suggests. At this point, my biggest concern is around the timing of the spinoff. It's been a long time in the making and if the option tender proposal isn't approved, I'm worried that management will put off the spinoff to allow additional time for employees to exercise their options and that would put more downward pressure on the share price. Back in July I added some calls that expire in January, seems now that was a little optimistic hoping the spin would happen before then. Either way, this is still one of my favorite ideas and I'll likely add to it before the year is done. Two of the (very) recent publishing spinoffs are going to continue the industry's consolidation trend; Gannett (GCI) announced last night the purchase of Journal Media Group (JMG) for $12/share in cash for nearly a 50% premium. The purchase price values Journal Media at around ~6x my swag of EBITDA. I previously mentioned that Journal Media made a natural acquisition target for Gannett before it was spun out of the Scripps/Journal Communications transaction back on April 1st. Journal was setup for an acquisition with no debt, no controlling shareholder and papers that fit well into Gannett's portfolio of mid-sized city publications. Sounds a lot like Cable ONE (CABO) which was recently spun out with the implied purpose of being acquired. The timing of the transaction is somewhat surprising as spinoffs typically wait two years before being acquired to avoid IRS scrutiny around their tax free status. But Journal Media has provided its former parent E.W. Scripps with an opinion reaffirming the tax free nature of the transaction. Gannett looks a little bit cheap here, but along with New Media (NEWM) they'll be the consolidators in an industry that I don't want to hold through the next recession (whenever that might be) as advertisers move toward other platforms. The broadcast/newspaper spinoff trade has worked out well this year, but time to close it out, I sold my shares today and will let arbitragers get the last percentage points.